With the encouragement of family and friends, Sandy started this blog in February 2012. 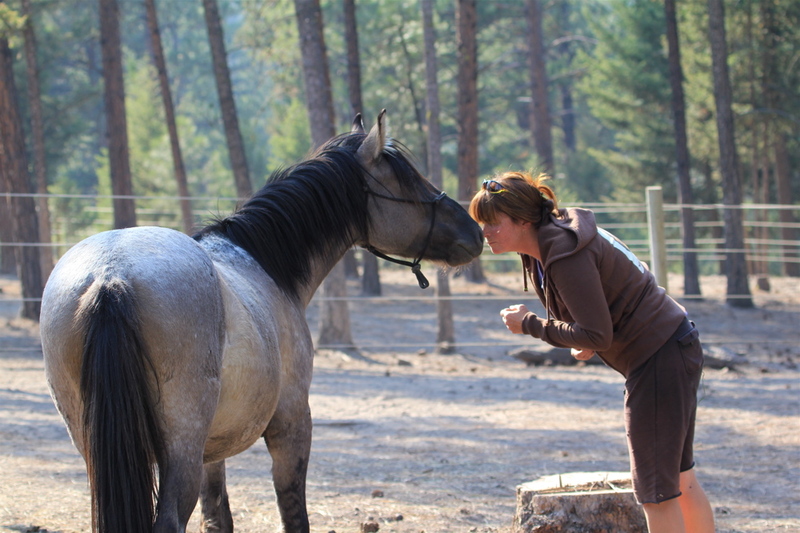 Sandy became passionately involved with the Pryor Horses starting in 2009. She attended the roundup in September of that year and 3 weeks later adopted her beautiful grulla filly Valerosa. She in 2012, she adopted two more Pryor horses, both Lakota‘s offspring. Kiowa and Kootenai. 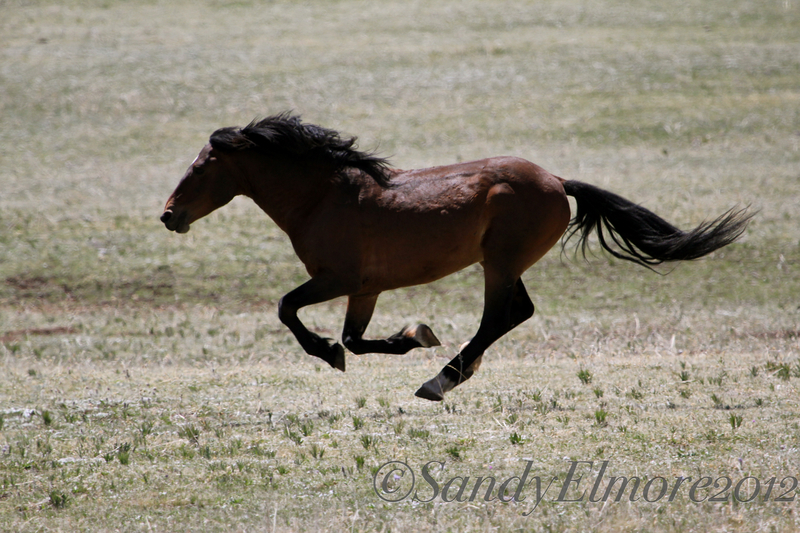 Sandy learned the horses histories, bloodlines, the offspring they have had, their ages, what challenges they have confronted, and the magnificent courage they have shown in a beautiful but unforgiving land. 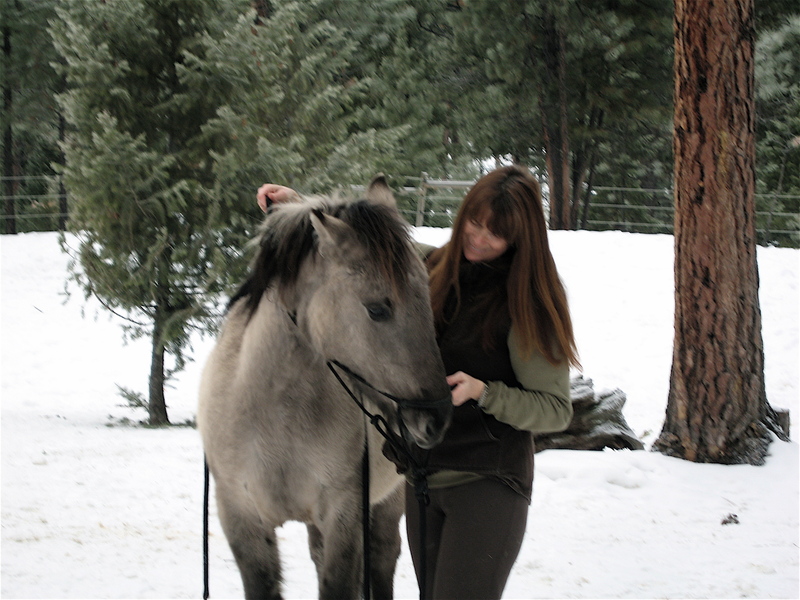 With each shot Sandy took, she fell more in love with each horse and forged deep connections. Her photos show the love she feels for them behind the camera. Not only does Sandy take photos, but she also is a videographer. One of her projects was with Singer/songwriter Sharon Anderson. Together along with Randy Nagel and Chas Williams they produced a beautiful music video; “Wild Caballo”, to honor the wild horses. This video was selected as a finalist in 2013 at the International Wildlife Film Festival. She has donated several DVD’s of this to the Pryor Mountain Wild Mustang Center. Sandy’s goal for her photography and video work is to share her experiences and allow as many people as possible to get a glimpse into the lives of these beautiful animals and also to reach out and communicate with all sides involved with them. Her blog “Wild in the Pryors” allows you to follow her many trips to the Pryors. She shares stories, photos and information about this herd of special wild horses. 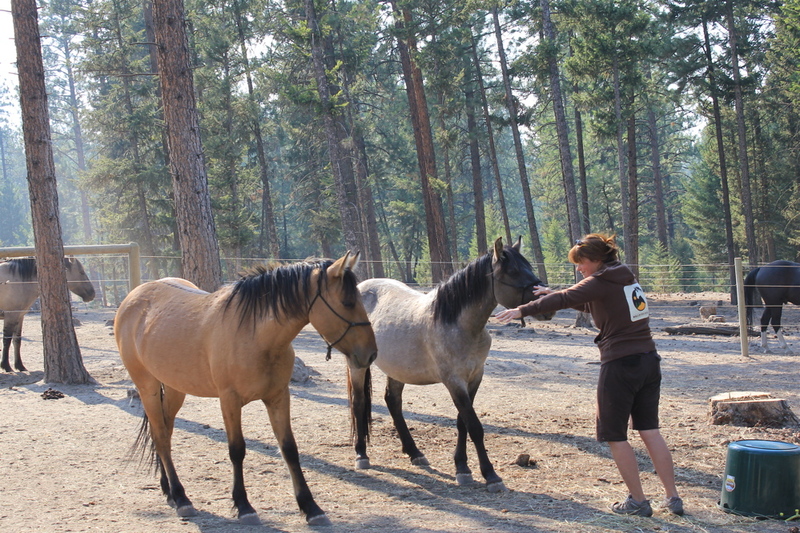 In the summer of 2013, Sandy began giving guided day and camping tour trips on the Pryor Mountain Wild Horse Range. 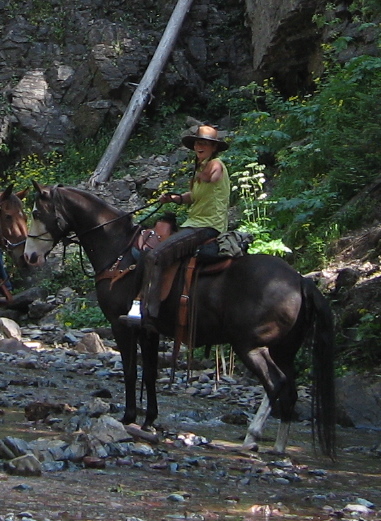 She has acquired all necessary permits from the BLM to provide these once in a lifetime trips. Thank you to all that read this blog and become interested in these beautiful horses. Together we can make a difference. All photos are available for purchase. Email her for details and prices. When Sandy is not on the mountain, she resides with her husband John in Michigan. Sandy and her husband John. Added another award to your fabulous blog. Truly, I appreciate the work that you do with these horses on the Pryors. I wanted to ask if I could use a picture of Santa Fe for a post of mine about what it feels like to ride a horse. I would credit you, of course. I only have one picture of my ex-racer who passed on a couple years ago, and it isn’t one of him in motion. Anyway, keep up the great work! I love hearing about each of the horses, and your connection to Lakota is more than inspiring. Thank you so much! Yes, you may use the photo, thanks for asking. Which one will you be using? That was the link that came up when I clicked on it. I met you in the Pryors in July. 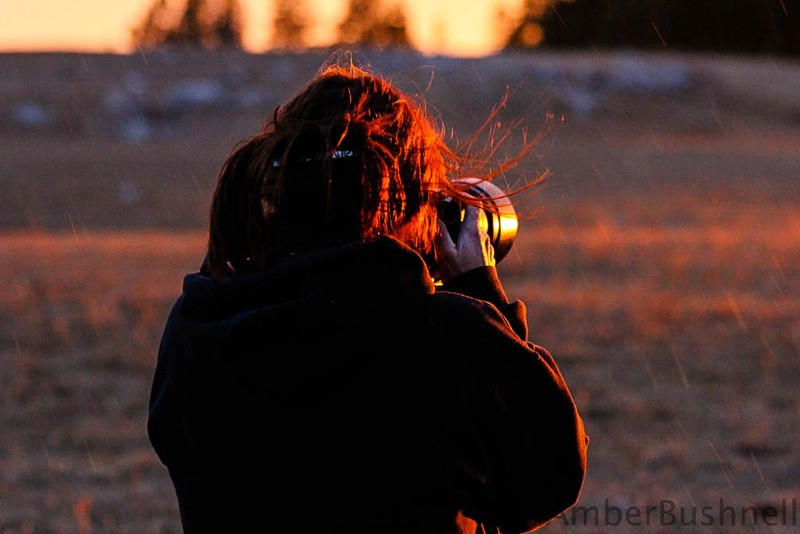 I am the photographer from Billings. You can check out some of my images on my Facebook page, freespiritimages. Hi Dixie! Your photos are beautiful! It was nice meeting you! I am sure we will see each other again up on the mountain! Hi Sandy ! thanks for stopping by my blog. For some reason WP dropped my follow on your blog. Not the first one this has happened on. Of course it would have to happen on some of my favorites. 🙂 The horses available for adoption this year are just drop dead gorgeous. Wish I could bring one home with me. 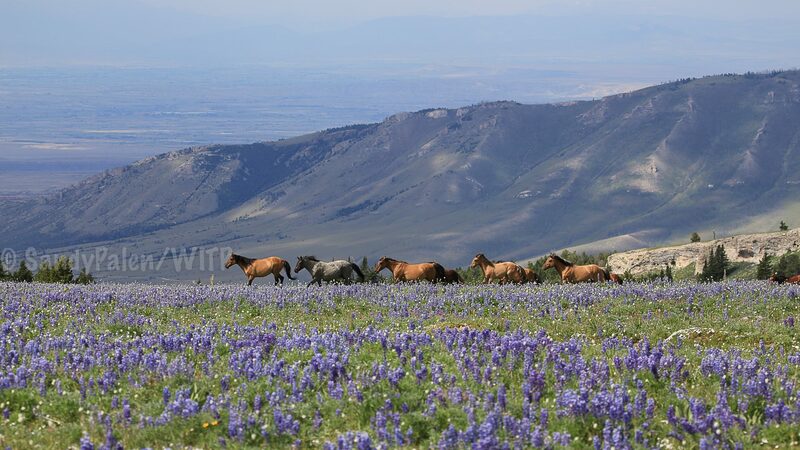 I discovered a five-day horse drive up in the Pryor Mountains that one can go to on vacation. I’m actually thinking of doing that, and perhaps visiting your herd in the mountains. Thank you so much for caring and documenting this wonderful herd of horses. I’m so happy that they have a voice with you. Glad you are back Emily! Can you send me a link to the horse drive you are referring to? The Pryors consist of a lot of land, besides the part that the Horse Range is on. I can tell you that you will not be going through the range on that trip, it must consist of another part of the Pryors. Thanks again! Sandy, I really enjoy your story and photos. Thank you for sharing. It is very nice that Lori has joined you to write on your blog. Lori, I love your story. Thank you for caring for the wild animals and the Pryor Mountain horses. I am looking forward to read the stories and to see photos of all the horses. 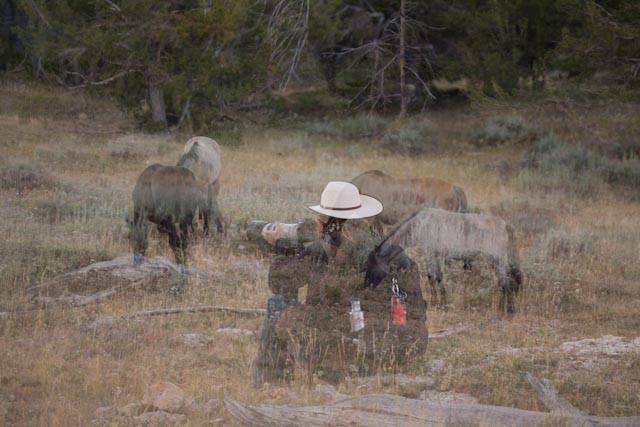 Dear Sandy and Lori, I am appreciated all of your work to help us connecting with Pryor Mountain the magical place and with the horses. Thanks Anh! It was so nice to finally meet you! Thank you so much Carolyn! I have enjoyed your posts as well! So glad you are reading my blog! Thank you again! I nominated you for the Liebster award because I love what you’re doing with the Pryor mustangs, and your photography is absolutely stunning. 🙂 Also, as an extra thank you for letting me use a picture of Santa Fe a while back. Have you seen our boy Fools Crow? He is such a loner. He had a harem and lost them. I have been following him for years and want to keep up. Matt told me that he is probably the only offspring of Corona and he is so special to me that I really want to know where he is where and what he is doing. Hi T! I have not seen Fools Crow for a while, but my friend Linda D saw him this week in the Dryhead with several other bachelors. Fools Crow’s father is Cortez, not Corona. Waif is Fools Crows half sister (both have Cortez as their sire). I really like him too. I saw Hidalgo in April up Sykes and he had taken Fools Crow’s band. I really hope Fools Crow gets some mares back. I would love to see some of his offspring on the range! Thanks for commenting! Thank you Ross! I hope to see and Marge again soon!